As America's love affair with the game continues to grow, the American Chiropractic Association (ACA) and Dr. David Stude, member of the ACA Sports Council and founding fellow of the National Golf Fitness Society says "Back pain is a warning sign that there is an underlying problem responsible for a symptom that will likely get worse has advice on how to take a proactive approach that will prepare your body for many years of pain-free play". 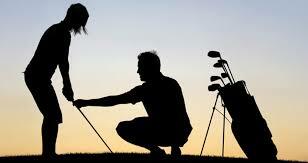 "Most golfers go until they get hurt, then look for help. Doctors of Chiropractic look for the cause of the symptom and help reduce the likelihood of future injury." • Purchase equipment that fits. Don't try to adapt your swing to the wrong clubs: A six-footer playing with irons designed for someone five inches shorter is begging for back trouble. • For the women in golf: If you have "inherited" your husband's or significant other's golf clubs, they might be difficult for you to use. 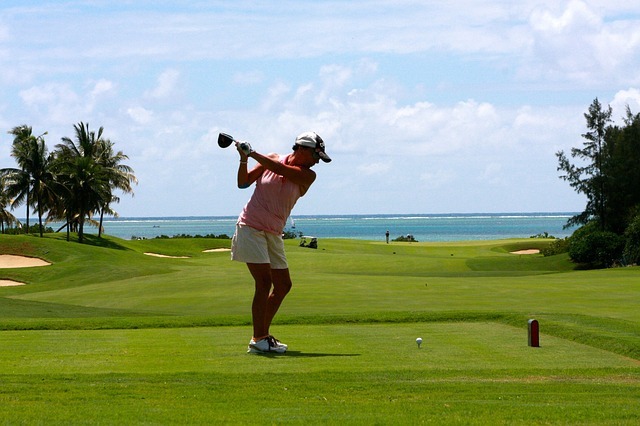 Not only are the clubs often too long, but the shaft is often not flexible enough for a woman's grip. Women typically play better with clubs that are composed of lighter, more flexible material, such as graphite. • For the men in golf: It is a good idea to spend some extra time performing quality stretches-before and after your game-to increase your trunk flexibility. While men are traditionally stronger than women, they usually aren't as flexible. Men need to improve their flexibility to maintain a more even and consistent swing plane and thus improve the likelihood of more consistent performance. • For senior golfers: If you show some signs of arthritis in the hands, consider a larger, more specialized grip for added safety and performance. • For all golfers: For some, scores may not be as important as enjoying the social benefits of the game. Having clubs that are comfortable will increase the chances of playing for a long time without significant physical limitations. • Take lessons. Learning proper swing technique is critical. At the end of the swing, you want to be standing up straight; the back should not be twisted. • Wear orthotics. These custom-made shoe inserts support the arch, absorb shock, and increase coordination. "Studies show custom-made, flexible orthotics can improve the entire body's balance, stability and coordination, which translates into a smoother swing and reduced fatigue". While the upper part of a shoe may score style points, what the foot rests on affects your game. • Avoid metal spikes. They tear up greens and can increase stress on the back. Soft shoes or soft spikes allow for greater motion. • Warm up before each round. "Stretching before and after 18 holes is the best way to reduce post-game stiffness and soreness". Take a brisk walk to get blood flowing to the muscles; then do a set of stretches. To set up a stretching and/or exercise routine, see a Doctor of Chiropractic or golf pro who can evaluate your areas of tension and flexibility. • Pull, don't carry, your golf bag. 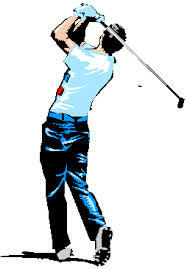 Carrying a heavy bag for 18 holes can cause the spine to shrink, leading to disk problems and nerve irritation. If you prefer to ride in a cart, alternate riding and walking every other hole-bouncing around in a cart can also be hard on the spine. • Keep your entire body involved. Every third hole, take a few practice swings with the opposite hand to keep your muscles balanced and even out stress on the back. • Drink lots of water. Dehydration causes early fatigue, leading you to compensate by adjusting your swing, thus increasing the risk of injury. 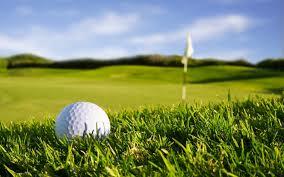 Don't smoke or drink alcoholic beverages while golfing, as both cause loss of fluid. • Take the "drop." One bad swing-striking a root or a rock with your club-can damage a wrist. If unsure whether you can get a clean swing, take the drop. Doctors of Chiropractic are trained and licensed to treat the entire neuromusculoskeletal system. Some Doctors of Chiropractic (like Dr. Volstad) have specialized training in sports medicine and can provide advice for golfers to help them decrease the stresses and strains placed on their bodies. Doctors of Chiropractic can address other health concerns, such as shoulder, knee, arm and wrist pain that could affect your game. "If you golf consistently, you will no doubt feel the stress of the game, but by following a few simple prevention tips, it is possible to play without pain for a lifetime".